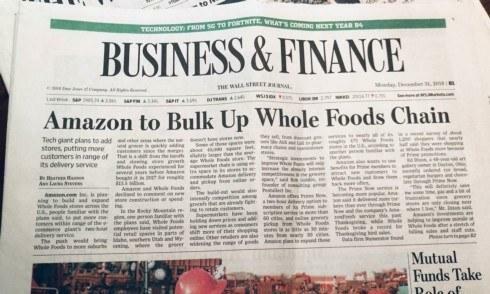 Amazon will boost its two-hour delivery service to customers by building more Whole Foods, reports today’s WSJ. Amazon also offers a 30 minute grocery pickup. The retail future is increasingly about showing real-time stock online and encouraging customers to order it for delivery or pick it up. When Amazon gives faster delivery to more customers, those are often the same customers as those of indie stores. With these moves, Amazon is just eating more business’ customers. When I read news like this, I can’t help but fear for my hometown grocery chain of Wegmans. The stronger Amazon gets, the more it’s circling local grocers. Wegmans is an important source of jobs and tax revenue in Rochester.